Happy belated birthday Peter! 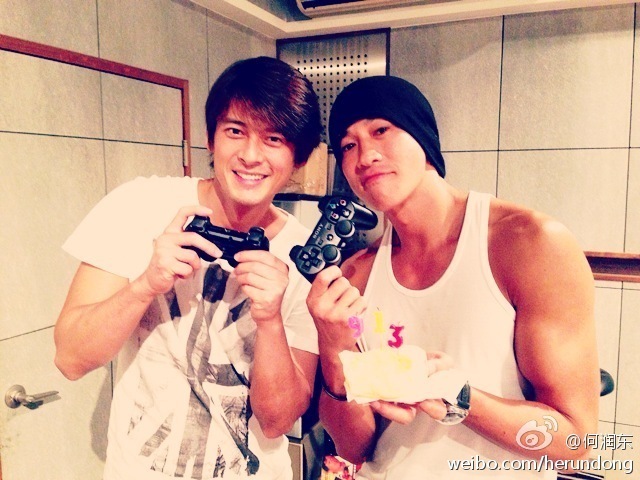 (His birthday was on September 13) Besides filming his latest movie where he plays a boxer, he’s also spending time with good friend Dylan Kuo. *_* Peter posted these on weibo a few days ago and all I can do is swoon. Dragon Gate Eps 5 to 7 – I actually haven’t watched that much dramas in the past month, the only one I’m really trying to keep up with weekly is Dragon Gate. The highlight out of these three episodes were probably the beginning of episode 6, when there was a really good scene between Xiang Yu and Xiao Dao. It only reinforces the improbability of this ship, but alas, I thought I preferred the Xiao Dao / Mo Yu ship but nothing is really happening there either. All in all I can’t really give a good reason on why I’m still watching this. The main conspiracy plot is confusing, the side Lower-City District fire mystery is also confusing, and maybe they’re all linked together? Huai An and Mo Yu remains quite bland characters, Xiao Dao really needs more screen time… maybe I just want to keep supporting a drama that at least tries to offer viewers something different, even though they’re not really doing such a great job. Le Jun Kai Eps 3 to 9 – Let’s just say I can’t believe I looked forward to this since…like filming started. I am annoyed at my own anticipation which turned out to be not so good. I wasn’t expecting a masterpiece, but the short episodes coupled by all the flashbacks just make this micro-drama very disjointed and very difficult for me to get ‘into’ the story. I think they’re releasing it as a movie version next week so I might give it another go. Just You Eps 9 to 11 – I liked how this drama was progressing although it feels like it reached a bottleneck at episode 11. I was loving second lead Dean so much in episode 10! Up until this point I still think it’s a cute drama although I don’t really feel the urge to ‘chase’ it. Lanling Wang Eps 1 maybe 2? Almost forgot I did catch a little of this when I was in Taiwan. It was a replay in the morning and since it was right from the beginning I watched some of it. Didn’t really feel that drawn in though??? Was it because of its glowing reviews? Or was it because I was also getting ready to go out at the same time? LOL. Love Around… is DROPPED. I’ve had enough of boring. Life is too short for crappy dramas right? I thought I could hang on for George but then… I figured I can watch him Lanling Wang or even Detective Alliance instead. 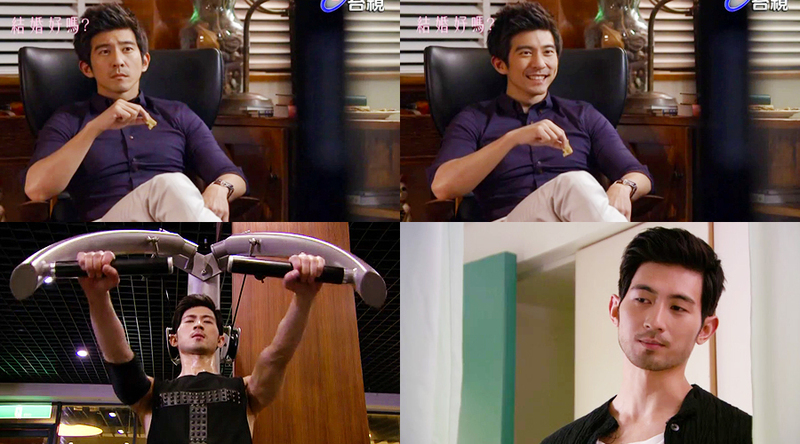 Love SOS Eps 11 to 13 – Speaking of crappy dramas I don’t know how I managed to finish this. I would’ve dropped it if it was any longer. Looking at some comments on Lanling Wang Daniel Chan is stealing the spotlight but DO NOT, just don’t think about watching Love SOS for him, really. It’s pretty horrible. I do plan to write a warning review on it but I’m not sure I’ll get around to it while it’s still fresh in my memory. If anyone needs a Daniel Chan fix please find a better quality version of Feel 100% (the TV series, not the movie). Even though it was made in 2002 (!!!!) I only found it about 5 years ago and fell in love with it. The first ‘season’ of 11 episodes was funny and had a solid story starring four good looking leads including Daniel, Niki Chow, Alex Fong Lik Sun and Rain Li. It also had a great bunch of guest stars like Miriam Yeung, Ronald Cheng and even Shu Qi. 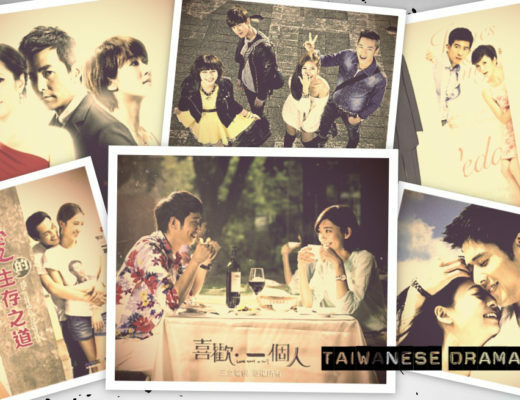 Hong Kong don’t make a lot of idol dramas and I loved this one! I just wish there’s a DVD quality version so I can rewatch it sometime! Loved in the Purple / The Purple Hairpin Eps 1 to 2 – It took me four days to watch two episodes (and these are short episodes, 43 minutes long ones!). Is this a sign? I like to drama before I go to sleep and I’ve been too tired to watch a complete episode. I sense I’m quite doomed with this drama, I kinda know the ending already and I really do not like Michelle Ye’s character. Plus I quite like the possible Raymond/Tammy pairing although I don’t think they’ll get together in the end? The Story of Mulan Eps 14 to 15 – I watched these a month ago and promptly forgot where the story got up to. >< ARGH. Need to get back into it before I forget about it altogether!!! Triumph in the Skies II up to episode 19 – I don’t think I’ve ever felt excited about this drama. The beginning episodes were okay but there’re a lot of unnecessary and uninteresting fillers which didn’t move the story forward. Even with all my Chilam bias the Sam / Holiday / Jayden storyline didn’t interest me all that much. Never liked Fala’s character since the beginning. I was surprised I liked the Summer / Issac and even Roy / Heather storylines a bit more. Not sure if I will continue watching since there’re so many episodes. Peter did say he doesn’t want to act in idol dramas anymore! He has done so many idol dramas he has probably said ‘I love you’ to like 60+ girls and got married so many times LOL. This includes getting married at the same place to two different girls! Maybe he wants to ‘save’ it for his real life true love since they also had a birthday celebration for him and his birthday wish was to get married and have kids, preferably twins HAHAHA. Although I think he clarified afterwards it’s more like his parents’ wish? And HEHEHE I definitely like your focus on Daniel Chan in this post. Pretty much…LLW is overrated. But Daniel is not. 😛 And oo I love the photoshoots of Bolin! Do you feel different seeing him (i.e. in the magazines, etc.) now that you’ve actually met him in real life? LOL I didn’t realise I watched that much but then that’s over a month though! Ahhh ok I might keep LLW in the ‘only if have time’ pile, which is probably never. >< But then there isn't anything I'm really anticipating after the current lot of dramas, so... re Bolin's GQ cover why do I always want to laugh when I see it? It's like he's trying to be all serious but holding in his laughter inside or something. LOL. Hrm... apart from fangirling him a lot more that whole fans meeting experience still feels really surreal!! >< It's like it happened, but didn't really happened. o_O ARGH. It makes no sense sorry!!! But to answer your question I don't think it's really different?